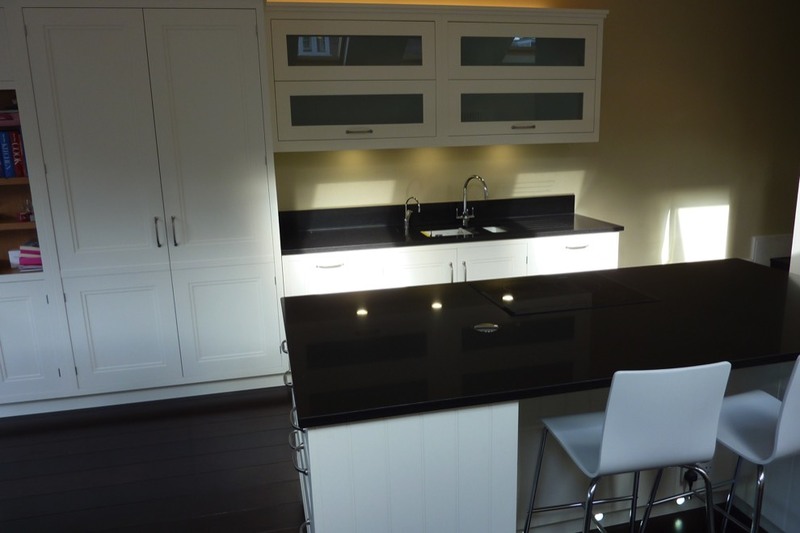 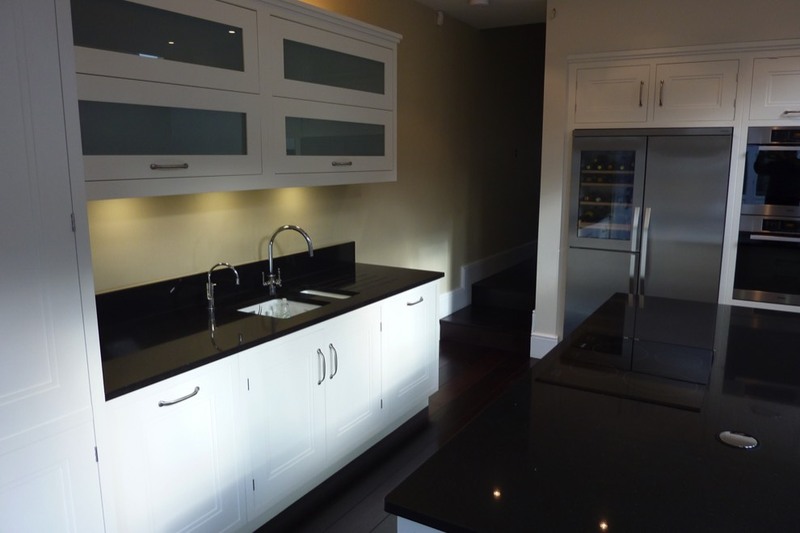 Teddington kitchens installed this inframe kitchens into a property in St Margarates Richmond; it has a stepped shaker style door. 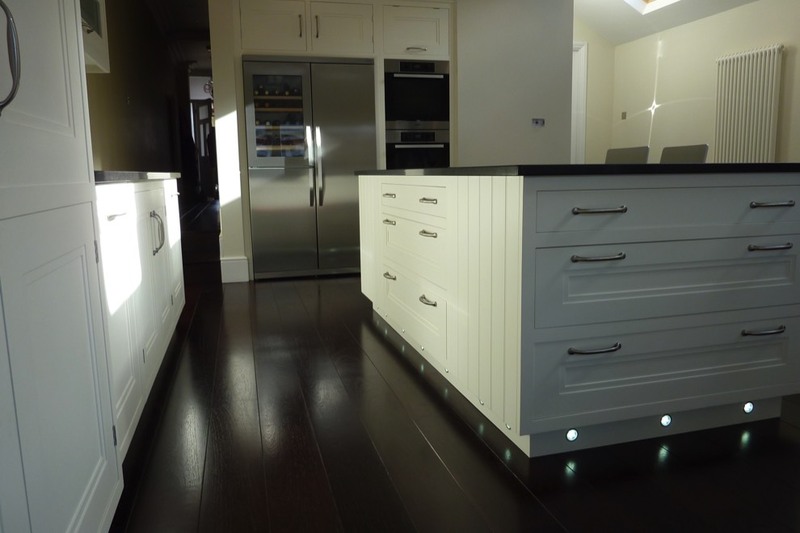 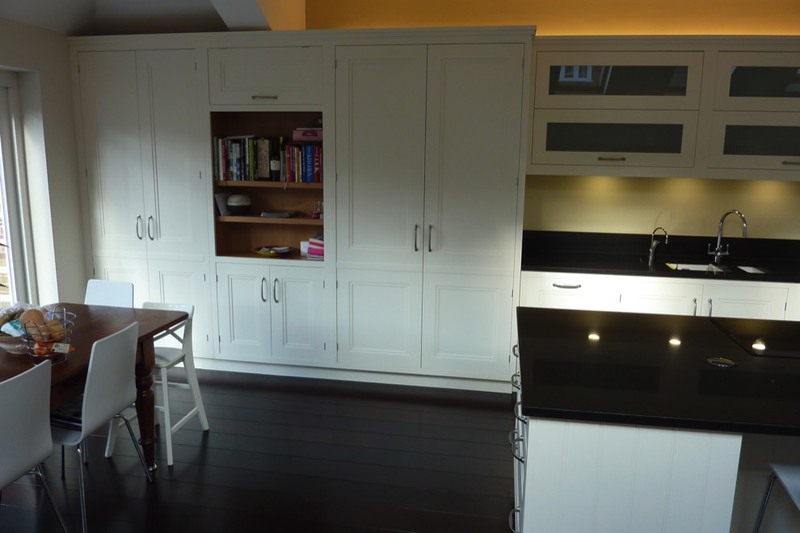 Although this could be considered a traditional looking door it, in fact, looks contemporary due to the up and over style doors to the wall units, modern appliances, black granite worktops and the plinth lighting. 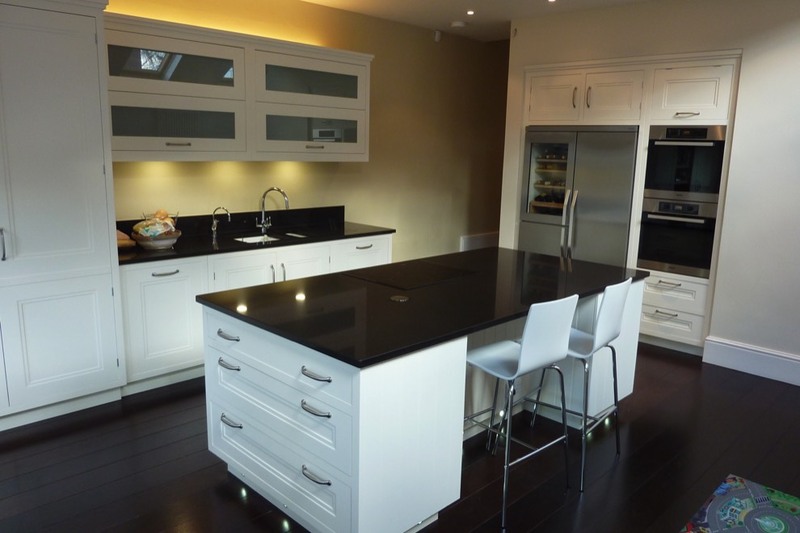 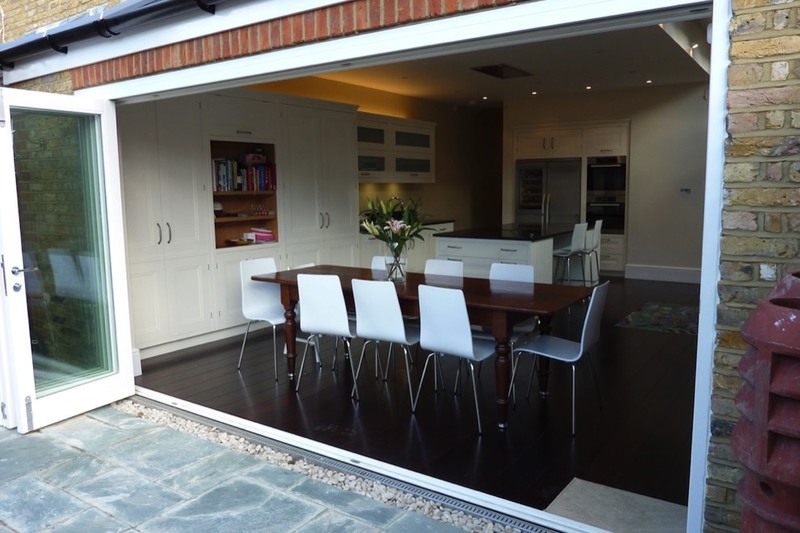 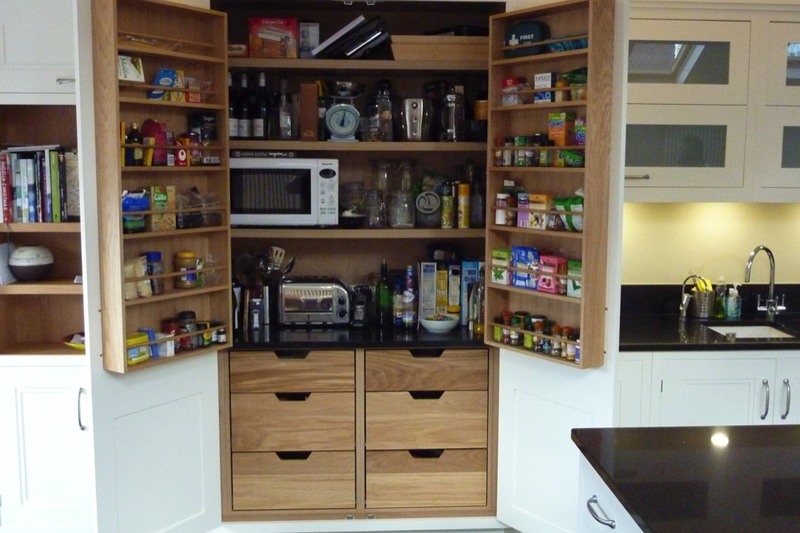 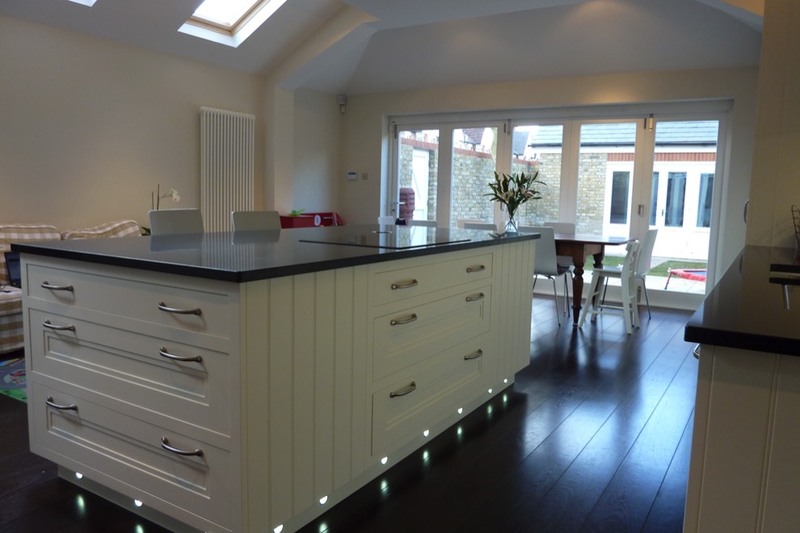 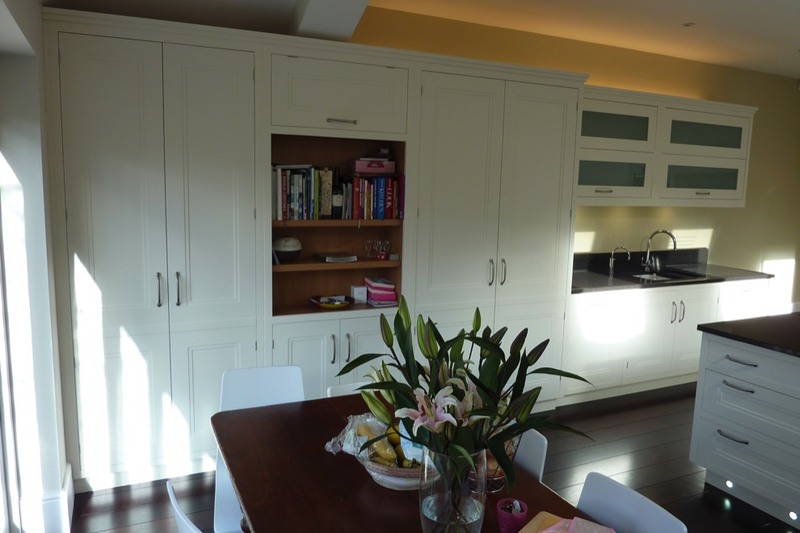 The larder is another example of Teddington kitchens bespoke cabinetry. 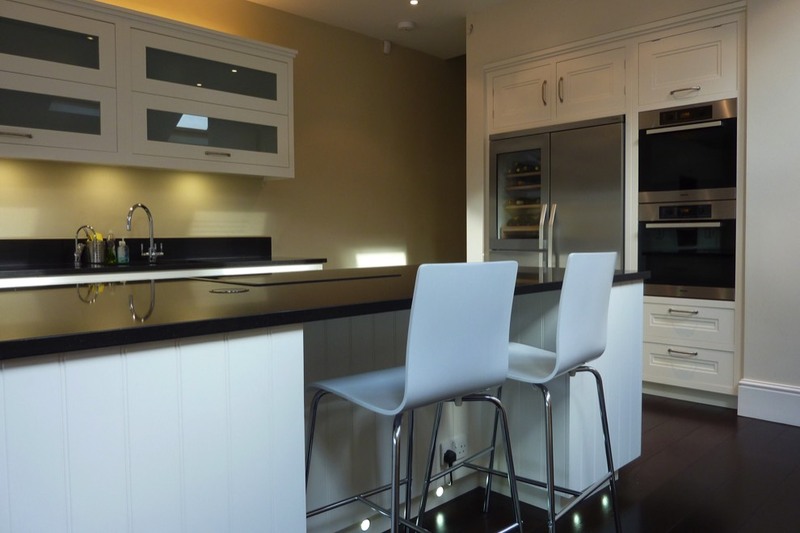 The kitchen is painted in Farrow and Ball allwhite.